100ml glass bottle of Original Black Seed Oil from The Blessed Seed. 100% pure, cold-pressed, from the finest quality Nigella Sativa seeds. Typically, our Original oil contains 1.5-1.7% of the volatile oil. Most of the other oils on the market only contain a maximum of 1.2%! The majority of oils in the UK are as low as 0.3% volatile oil. This Blackseed Oil is recommended for those who are already familiar with the healing properties of nigella sativa and are looking for something a little more powerful than they are used to. It is also the perfect introduction to the natural phenomenon that has been revered for millennia for its restorative nature. Good for getting better sleep, eliminating allergies, improving skin health, boosting immunity, maintaining better health overall, staying free of disease and so much more. 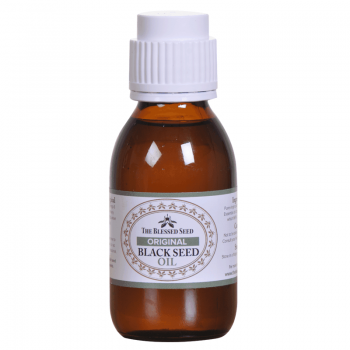 If you require a more potent oil, please consider our Strong Black Seed Oil. 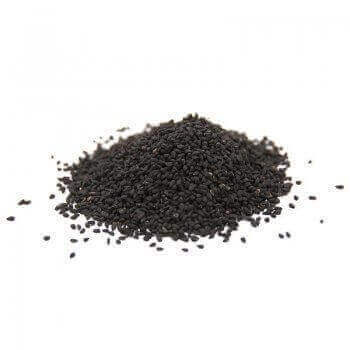 Black Seed Oil (also known as Blessed Seed Oil, Black cumin seed oil, Kalonji Oil, and Nigella Sativa Oil) has been celebrated as a medicinal herb with a wide range of healing capabilities for almost 4000 years. Our very first product was our original blackseed oil. We pride ourselves on introducing an exceptionally high quality oil that was more powerful than most other oils on the market at the time. Additionally, it was produced using a very slow cold pressing, which preserves the antioxidants and volatile components. All our oils are still made to exacting standards and we have since discovered and introduced an even stronger oil as we are always in search of new seeds. BlackSeed Oil has been traditionally used for an enormous range of diseases and conditions for its antimicrobial, anti-inflammatory, and antioxidant properties. It has been used as a diuretic, analgesic, digestive, stimulant, liver tonic, bronchodilator and immune system supporter. Among the many conditions treated are migraines, rheumatism, diabetes, asthma, allergies, obesity, dizziness, digestive issues, high blood pressure, influenza, congestion, bronchitis, diarrhea, and skin disorders, to name but a few. If you have any of these illnesses you need to consult with your healthcare practitioner. 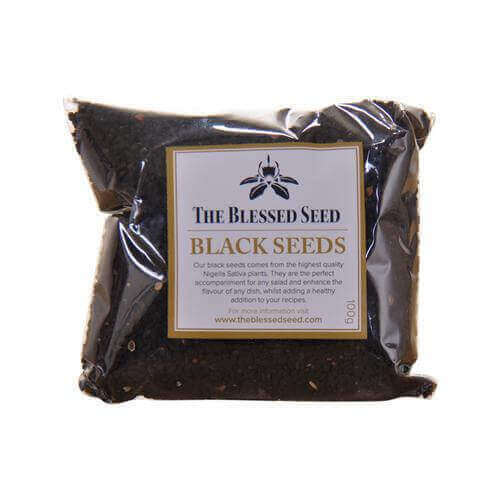 The Original Blessed Seed Oil is best BlackSeed Oil on the market. We are so confident about our quality and commitment to customer service that we gladly offer a full 1 Year money-back guarantee. Using only the finest Nigella Seeds from various locations around the world, we always check the quality of samples before buying and will only buy seeds that produce a high-quality oil. This is backed up by constant testing and analysis to maintain the very best quality that our customers have come to expect from us. Research has revealed that most of the potent & fruitful activity found in BlackSeed Oil resides in its volatile oil. We have found that most other BlackSeed Oils on the market contain somewhere between 0.3-1.2% of volatile oil. The Blessed Seed Oil, however, is different. Our oils contain between 1.2 and 4.9%, depending on the product you choose, making our oils far superior to other products, no matter which one you buy. Strong Black Seed Oil typically contains 4.3-4.9% of volatile oil (potentially 4-5 times more powerful than most oils on the market!). At our manufacturing plant the blessed seed oil is processed in scrupulously hygienic conditions (certified by the German Government) and is bottled as fast as possible after pressing. This again helps to preserve the volatile components in the oil. Please note that our oils are intentionally supplied in brown glass bottles – unlike some manufacturers who use plastic bottles. Our Black Seed Oil bottles come fitted with safety caps. 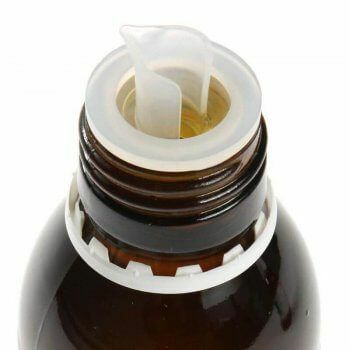 Our 100ml Original Black Cumin Seed oil bottles also feature our unique pourer. It is designed to give you a cleaner pour of the product and help avoid spillage/waste. As with all products shipped from The Blessed Seed, it’s important to us that you receive your goods in perfect condition. We package all parcels securely using tough cardboard and other high-quality materials. We also take extra care to individually pack our bottles for increased protection. Received both the original and the strong oils in the mail in a timely manner. I’ve mostly taken the original oil and let’s just say WOW! Some of the benefits I’ve noticed is deeper sleep with VERY lucid dreams, allergies are a thing of the past, and my hair and skin have benefitted from the oil. Thanks for such a great product. I will be ordering the liter bottle here soon..
Best on the market in my opinion quality and presentation wise. I cant emphasise how amazing this oil is! It truly is a miracle in a bottle! 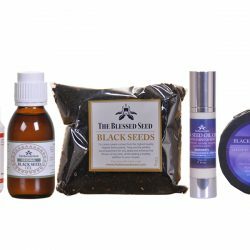 I did my research and found The BlessedSeed Blackseed Oil to have the best strengths of Thymoquinone & many of its other beneficial ingredients. I wont buy it from anywhere else. This is for life now…. (Because it works!) when nothing else has. I have seen *So many Health Benefits* not only on myself but Family & Friends too. I have an Auto-Immune condition of 28+yrs of Bad health with extreme pain and inflammation – along with all the heavy side effects of medication damage from this condition. For the 1st time in over 20+ yrs – I’m weaned down to 5mg of Cortisone; hoping to be totally off it soon. I have never been able to get that low a dose of Cortisone before my health goes extremely pair shaped, I always end up having to YoYo with doses between 25 to 10mg of Prendisone; end up being crippled at weaning to 10mg dose & then Backup again 25mg, this is very bad for your health – years of high doses Cortisone & for the 1st time in over 15+yrs. I am also losing weight. The Blackseed Oil has turned my body into a well oiled machine. Things are starting to work and get so much better. I walk daily & My Fitbit Steps are now between 9,500 to 15,000 steps per day. I tell everyone I can *in hope they’ll get amazing health benefits; because its really that good! I like these 100ml bottles with the pouring aid – makes it easier to pour the oil onto a Teaspoon without spilling. For those with Sensitive Tummy’s…. I had one too. Bad Reflux and Burping etc. I no longer need Medication for the Bad Reflux & Tummy issues. 1st time users may experienced a little enhanced Burping or some after taste of the oil… Please know it will pass soon enough if your persevere; its just your body adjusting to the Blackseed oil. Hello. I would like to say that I have found the original black seed oil very helpful and have recommended it to friends. I have used this oil in salad dressing, on my skin to heal skin irritations and I take a teaspoonful after meals. I find that it really does work and I am very grateful to God and to the Blessed Seed company for such a wonderful product! I hope to learn more about it and share what I learn with people who would be interested. Many thanks!